Subject to the same “No Compromises” design philosophy behind our flagship h-Class systems, the new hm-108A leverages VUE’s most advanced technologies to deliver exceptional output and definition from a very compact and highly durable package. From their precision transducers with cutting-edge diaphragm and suspension components, to the internal VUEDrive Systems Engine, all aspects of the hm-108a work in perfect harmony to deliver unparalleled output and fidelity for the most demanding fold-back applications. Thoughtful cabinet design ensures that the hm monitors offer minimal visual intrusion between audience and performer. Their uniquely low profile ensures that coveted sight lines are preserved for set designers and video producers alike, while also reducing required truck space when it’s time to pack up and go. The hm-108A monitor offers exceptionally clean and wide dynamic range – allowing monitor engineers to place solos or vocals in the front of the mix, exactly where they belong. 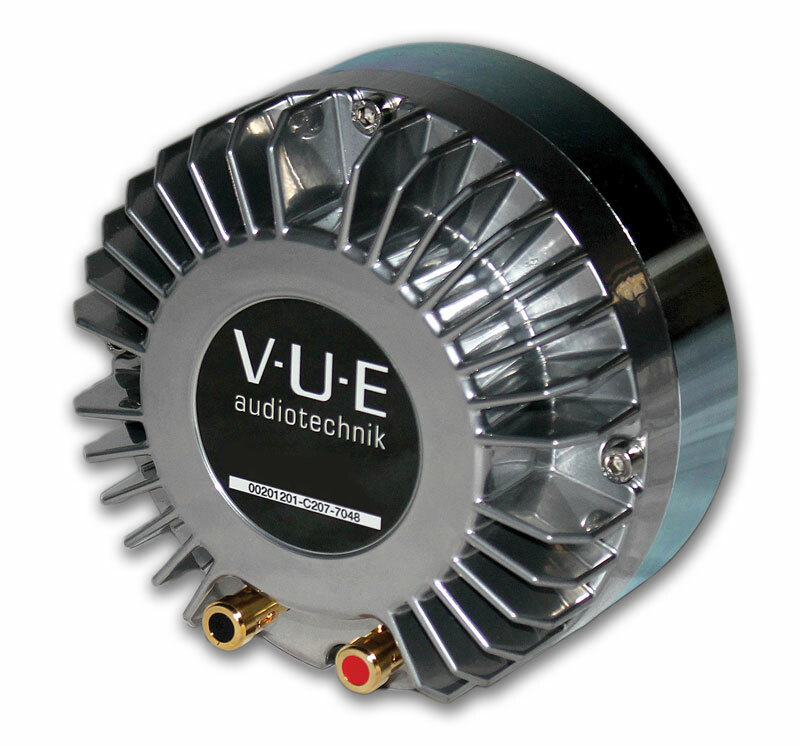 Finally, the hm-108A benefits from sophisticated DSP via the internal VUEDrive Systems Engine. This ensures minimal reflections and optimal tuning to avoid the typical hurdles that plague less sophisticated monitor systems. Thanks to Michael Adams’ real-world perspective, hm monitors arrive from the factory fully ready to rock, with minimal tweaking. 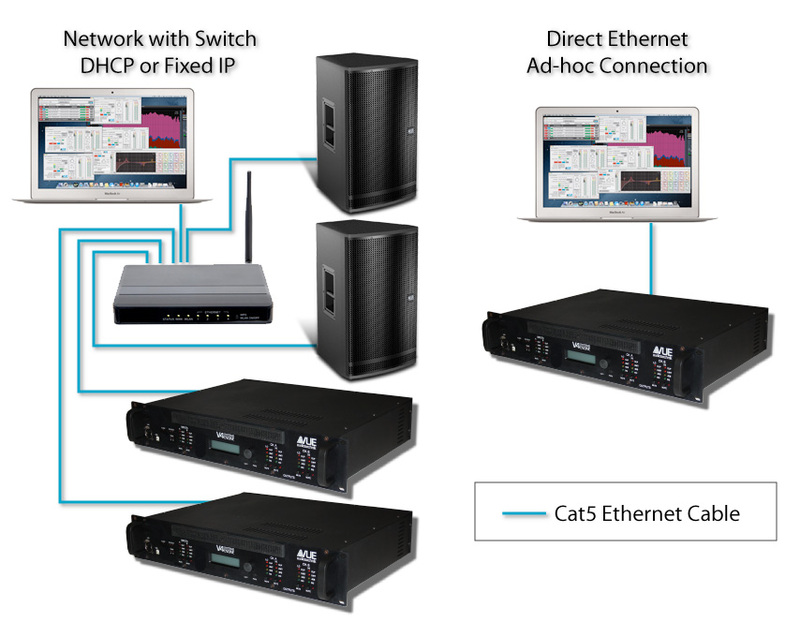 Analogue, AES/EBU and Dante inputs along with build in Ethernet network switch for loop-though audio on networking. Full network monitoring and control via SystemVUE software. It all begins at their core, where the hm monitors combine on precision-engineered, 8-inch LF transducers with a horn-loaded compression driver that features VUE’s revolutionary Truextent® beryllium diaphragm. Thanks to beryllium’s extremely high stiffness-to-mass ratio, this unique compression driver delivers dramatically more HF definition, intelligibility, and output than more conventional aluminum or titanium-based designs. Both drivers feature massive voice coils and magnet assemblies designed to minimize power compression while ensuring consistent fidelity and feedback stability right up to maximum output. The hm-108A monitor has a built-in fully integrated electro-acoustic system that includes the internal VUEDrive Systems Engine, processor/amplifier that provides more than enough “oomph”.